New Jersey is a big, busy State with very contrasting landscapes from Metropolitan areas to countryside and also beaches, so you are really spoilt for choice as to the style of wedding you want. There are also so many options when it comes to choosing your wedding venue too. However the really big popular wedding venues come at a hefty price range – we are talking $150 per person which is mad expensive when you probably want more than just a couple of people at your reception. 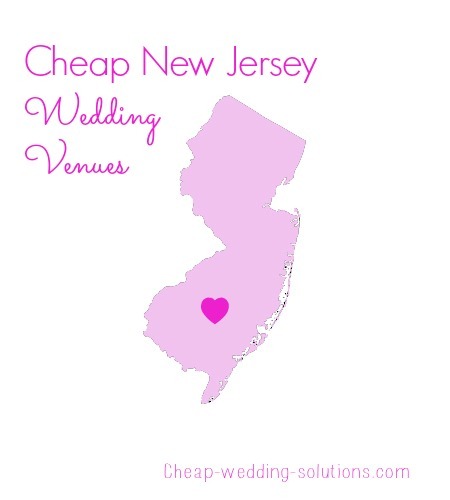 Saying that, you can save money by having a Sunday wedding and also look at February and March as you can save around $30 per person, plus wedding venues in Southern NJ are more often cheaper in the North. 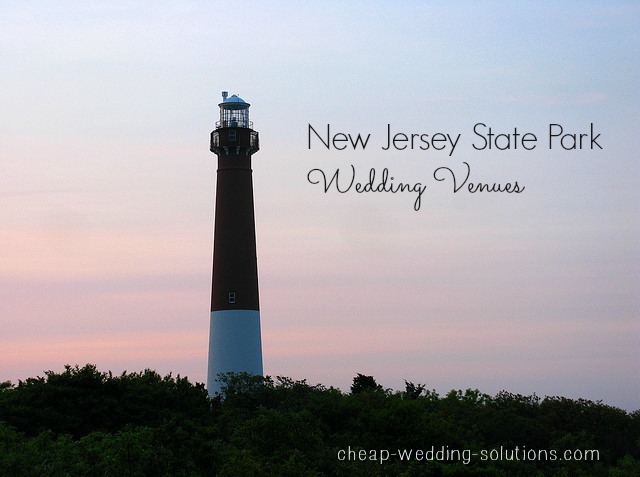 I love weddings held in State Parks as you are in a stunning location where everyone loves to be and you are so lucky in New Jersey as there are so many to choose from. As well as a beautiful location, you will also want to be able to relax and enjoy your day too, which means that you will need to think about catering for your wedding. One relatively inexpensive way is to have a picnic or a barbecue. You will need to contact each State Park to check availability and you will need to obtain a permit from them too. It would also be a good idea to have a backup if the weather isn’t great. Some of the parks do have venues you can rent. Courtyard on Main, in Freehold, NJ is a really affordable venue which holds up to 200 people. They don’t have a liquor license which means you take your own and this will save you loads. Montclair Museum, NJ this is a really popular wedding venue and has won quite a few industry awards, which is great but it means that there will be high demand which can lead to high prices. The cost of hiring the venue for your ceremony and also reception – round about 5 hours in total will be from $2000 to $4000 depending on when you want to book. You would then need to add catering costs on top of that, however they do allow you to bring your own drinks, which will save money. Sayen House & Garden in Hamilton, NJ. Love this venue as it is so pretty and it would look fab in your wedding photos, plus the price is amazing too. It holds up to 100-150 people. The cost is $1000 if you are a non-resident of Hamilton Township but only $550 if you are! This would include one hour for your ceremony and then 4 hours for your reception. You do have to use their caterers, there is a choice of two and they seem reasonable. The Women’s Club, Engelwood NJ, is another pretty venue with gardens and here you will also be able to bring your own caterers, florists, entertainment – everything! The Woman's Club of Maplewood is another club where you can rent the venue but I haven’t been able to find any online contact details. My understanding is that it costs $900 for 7 hours, which is a great price for such a fab venue. You will probably need to knock on their door to find out more. Camden Conference Center - $50/per hour for renting their banquet hall, you do need to use their approved caterer. Also make sure you check out the many great restaurants in New Jersey, quite often you will be able to hire the restaurant for the day if they are normally closed for lunch.